Ryan and I agreed before Norah was born to use cloth diapers with her. We both agreed that we could do our little part to save all those disposables from going into the dumps and cloth diaper it up. Plus it will end up saving us a couple thousand of dollars over the next 2 to 3 years (hopefully she is out of diapers by the time she is 3!!). Once this decision was made I started researching brands of cloth diapers and which ones people liked the best and the prices etc to find some that would not only work the best (few leaks) but also ones that wouldn't break the bank! Now for those that don't know I have an amazing ability to find deals on what I am looking for. Once I decided which brands I wanted I started hunting down sales on those brands and was VERY successful!! 1) Bumgenius 4.0 snap pocket diaper - LOVE THEM!! These are by FAR my favourite diapers. Luckily we picked up 12 of these on sale on boxing day from http://www.cozybums.ca/ for only $20 (after taxes) each (these retail for about $25 each before taxes). I find these the easiest to use. I love the snaps and they fit Norah the best. They are the easiest to clean too. I spray them down with my diaper sprayer and throw them in the washing machine and they come out super clean every time! I have only had one instance where they leaked and with all the poop that came out of Norah any diaper would have leaked!!! haahaa! 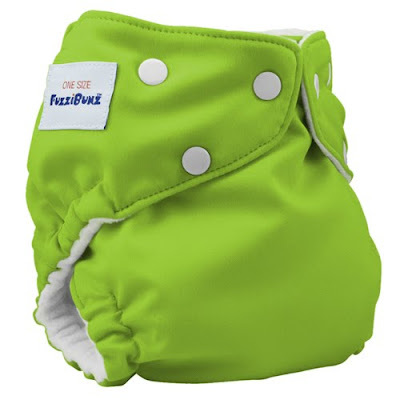 3) Fuzzi Bunz Perfect Size Pocket Diapers - I have 2 size small of these. I have no problems with these. The only reason I don't have more is because these set you back a little less than $20 each (depending on sales etc) but you have to buy a set of smalls then a set of mediums... ie double the amount of diapers. But I could get one size fits all for $20 each... it was a no brainer there! 4) Fuzzi Bunz One Size Pocket Diapers - Not my favourite either! I picked up 6 of these slightly used off Kijiji for $20 each which is a good deal as these new are close to $25. I have had soo many problems with leaks with these diapers. At first I thought maybe I had the leg elastic setting wrong but it isn't. Now I may change my mind as Norah grows with these but for now I don't really like them. I use these during the day when leakiness isn't a big deal because I can change her out of it quickly. All in all I still love my Bumgenius 4.0 snap pocket diapers! They fit Norah the best, don't leak, are SUPER easy to clean and are super easy to use!!! With that said, I currently have 24 diapers in total. We opted for neutral colours (other than having 2 pale pink and 2 pale purple ones) as we can then use these for the next baby (not that we're having another one ANYTIME SOON!) if its a boy. We can currently go about 3 days without doing laundry if I really wanted to. Normally I do laundry every other evening which gives the diapers that third day to dry. I did just pick up 5 more Bumgenius 4.0 Artist design diapers from http://www.cozybums.ca/ as they have a sale on right now for only $18.50 (plus taxes) for them if you buy 5. The Artist designs are normally $25.95 plus taxes. All in all for the 29 diapers I have, I have spent about $460 after taxes (I received 6 diapers as a shower gifts). If I had bought the 23 diapers at full price I would have spent about $640 (after taxes) that's $180 savings. But compare that to if I was using disposables!! I have only spent $460 for the next 2-3 years on diapers but disposables would have set us back a LOT more. 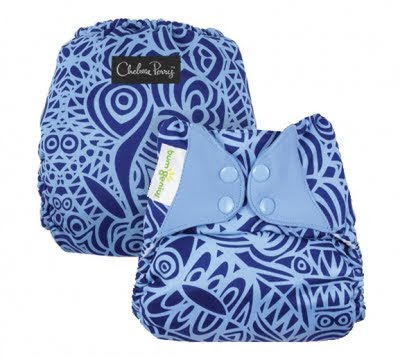 Plus these diapers will last for multiple kids! Perfect!!! We did use disposables at the beginning when I was bed ridden for the first week and a half. I have nothing against disposables, I just didn't like the rash Norah got. It was a minor rash but with the cloth diapers she is 100% rash free!! This past weekend we headed up to the cottage and since we haven't installed the diaper sprayer up there yet we threw her in disposables for the weekend. At the end of the weekend I hated them so much, they may be less bulky but they irritate Norah, she gets super fussy when in a disposable diaper. I also find that cloth diapers hold the smells better (not that we have her sitting in a stinky diaper for long periods of time!!!) But with disposables you can smell her from a mile away where with cloth diapers you have to get up close to smell it. Anyway that's my adventures in cloth diapering so far. Both Ryan and I love the cloth diapers and we can tell Norah does too! I'm Back and Not Alone!